Lufthansa was forced to cancel 4,700 flights during a seven-day strike organized by unionized cabin crew. Lufthansa said it will try to get back to business as usual after thousands of striking employees forced the airline to cancel about 4,700 flights over seven days. The strike is slated to end on Friday at midnight. The airline said about 550,000 passengers were affected by the strike, which was the longest it had ever experienced. 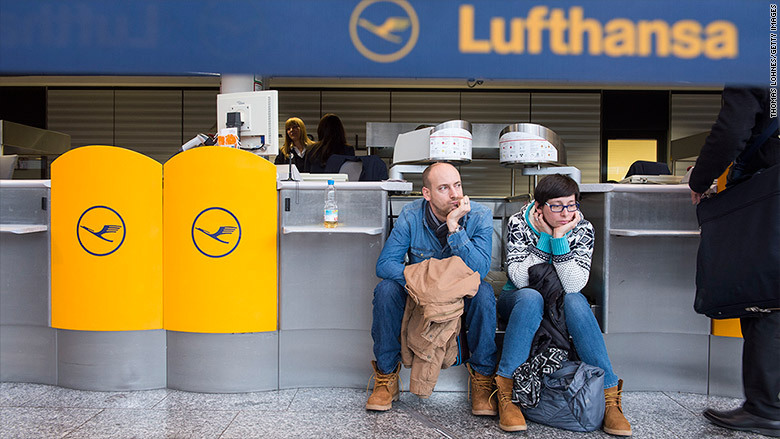 Lufthansa (DLAKY) did not have an estimate for the total cost of the strike. Striking unionized workers had warned the company they would strike for seven days before returning to work. However, their grievances over pay and pension benefits have not been resolved. Union chairman Nicoley Baublies said workers will strike again if the two sides cannot reach a suitable agreement. The company said it hopes to return to the negotiating table to discuss pensions. The air carrier offered workers a deal on Monday that was equivalent to a 6% pay rise, but said it would have to cut costs in other areas and "re-evaluate" some routes. The union refused the offer. 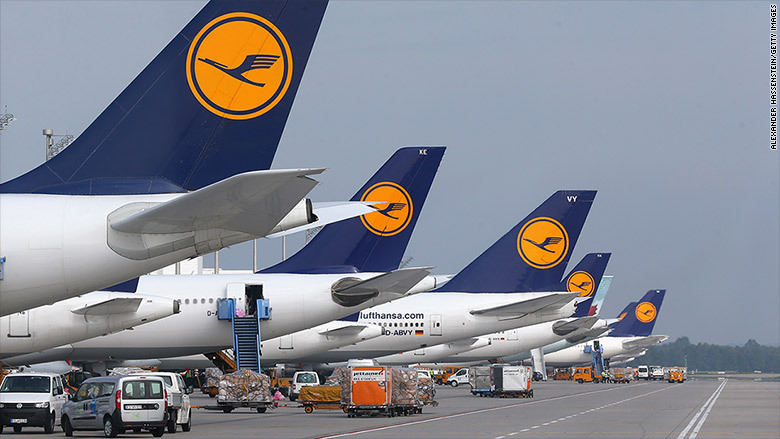 Lufthansa argues that its pensions are too expensive, given the growing competition it faces from low cost carriers. The union says it is prepared to accept some cuts to retirement benefits but Lufthansa is going too far. The airline upgraded its 2015 earnings forecast last month, citing strong summer demand and low fuel prices. It has warned that the "tailwind of low oil prices" may not last too long. The company and its subsidiaries employ a total of 120,000 people. Roughly 19,000 Lufthansa flight attendants are members of the union that called this week's strike.